Handmade By Mirella: Amazing giveaway by Kathy Racoosin! 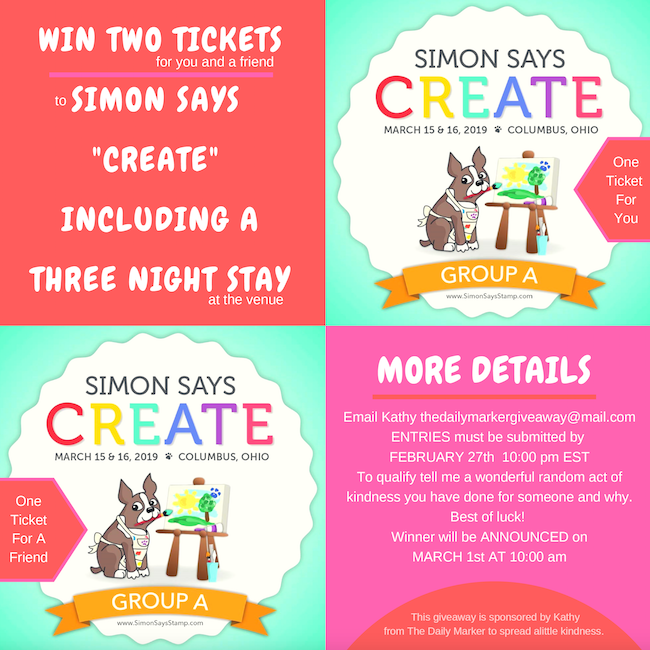 A quick post today - just wanted to pop by to share with you the amazing giveaway that Kathy Racoosin from The Daily Marker is currently hosting. I would love to be able to participate and go, but sadly it's not an option for me at the moment... But maybe you can?! If so, don't hesitate, and participate! You'll find all the details on Kathy's blog here.